Order in the next 3 hours, 20 minutes an 13 seconds for same day shipping. 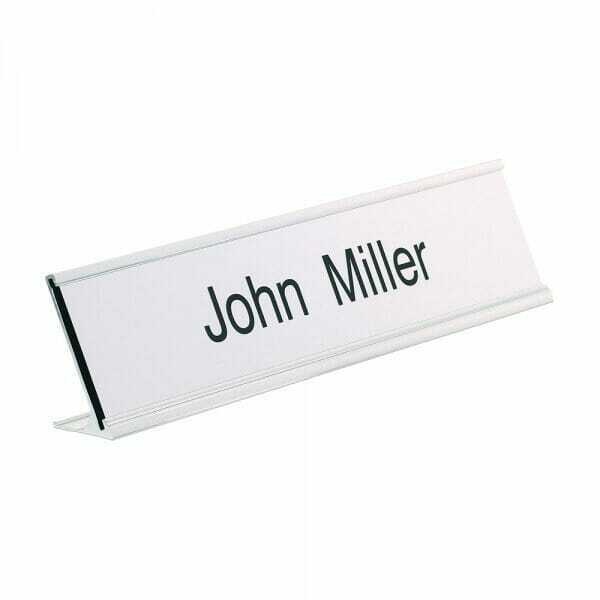 Create your fully personalised and custom desk nameplates using the online design platform. The desk plates come with a free holder so different nameplates can be placed in them. Colour: Silver with a choice of own black font. Customer evaluation for "Desk Nameplate engraved - 250 x 50 mm - silver-black"